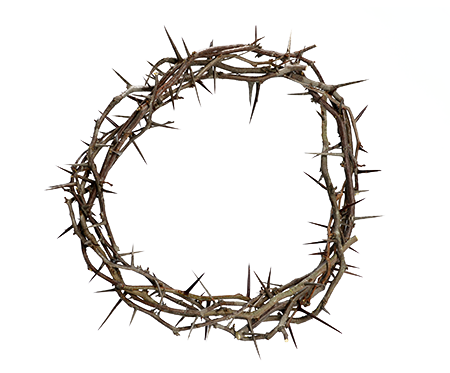 Apologetics Press - Was Jesus Crucified? Why Do Birds Need Feathers to Fly? The crucifixion of Jesus was one of the saddest but most important events in the history of the world. When Christ was crucified, He took the sins of the world on Himself. Peter says that Jesus “bore our sins in His own body on the tree” (1 Peter 2:24). The crucifixion was so important that the apostle Paul wrote, “For I determined not to know anything among you except Jesus Christ and Him crucified” (1 Corinthians 2:2). The crucifixion helps us see that Jesus had power over death. He died on the cross, and three days later He defeated death and rose from the grave (Hebrews 2:14-15). If Jesus didn’t really die on the cross, then He could not rise from the grave. Sadly, Muhammad and his teachings in the Quran deny that Jesus was crucified. The Quran states, “And because of their saying: We killed the Messiah son of Mary, Allah’s messenger—They killed him not nor crucified, but it appeared so to them and lo! those who disagree concerning it are in doubt thereof…they did not kill him for certain but Allah took him up unto Himself” (Surah 4:157-158). The Quran teaches that it only looked like Jesus was crucified, but He really stayed alive and was taken up into heaven. Therefore, the Quran denies that Jesus died, and it denies that He was resurrected. The apostle Paul knew there would be people such as Muhammad who would deny the resurrection. He wrote, “But if there is no resurrection of the dead, then Christ is not risen. And if Christ is not risen, then our preaching is vain and your faith is also vain…. And if Christ is not risen your faith is futile; you are still in your sins!” (1 Corinthians 15:13-17). Christ was crucified so that His blood can forgive the sins of those who obey Him. Thank God for that!